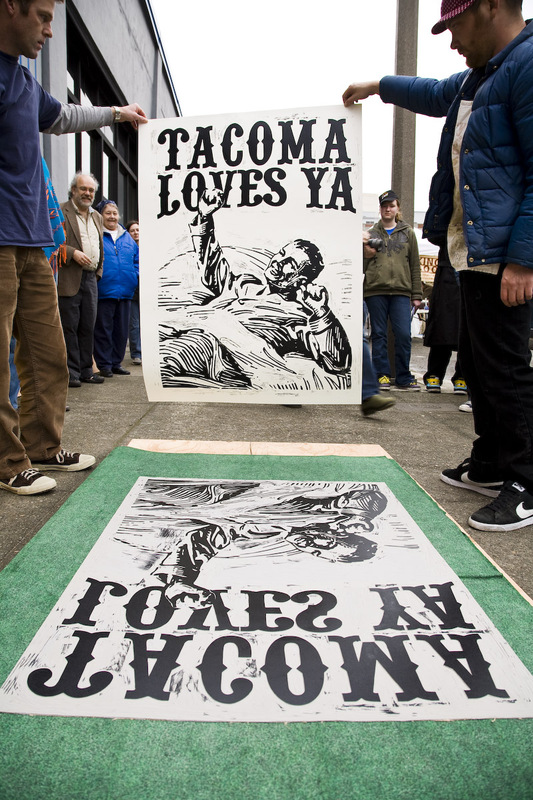 Wayzgoose, King’s Books and Tacoma: Spaceworks is fostering everything I love in my community. Read more about sweet pea Flaherty and all the good her literati-loving kind is doing for PNW bookworms below! The Puget Sound region is frequently cited as one of the most reading-obsessed corners of the country (with moss-friendly weather and a high incidence of depression reputed to be factors). Luckily for local literati, there is King’s Books in the Stadium District, an indie gem of a bookstore and a clearinghouse for approximately 100,000 rare, out-of-print, secondhand and newly released books, according to proprietor sweet pea Flaherty. This entry was posted in Community, local, South Sound, Tacoma. Bookmark the permalink.